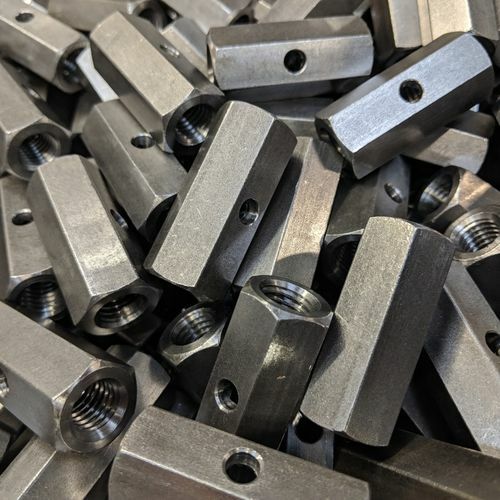 Trojan Special Fasteners Ltd routinely manufactures connector nuts to customer's requirements in multiple material and finish combinations. 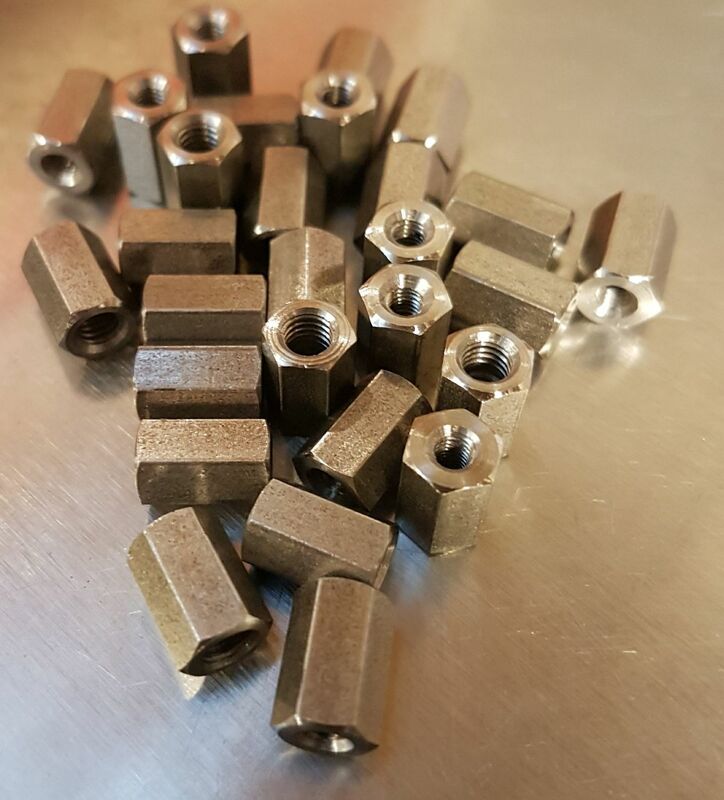 We manufacture a range of sizes of connector nuts in almost whatever length you require. 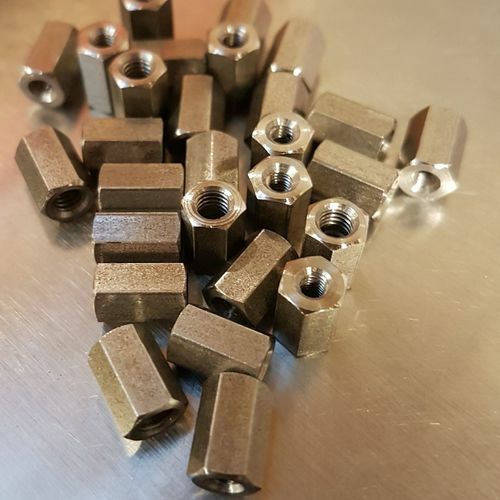 Connector nuts are also known as connecting nuts, connection nuts, coupler nuts, extension nuts, joining nuts, long nuts, studding connector nuts and coupling nuts. 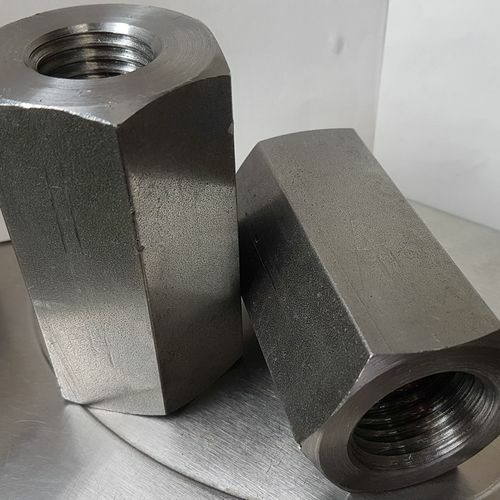 Such nuts are longer than normal nuts and are used to couple two male threaded rods (studding) together. The outside of the nuts is usually a hexagon so that a spanner can be used to hold it. 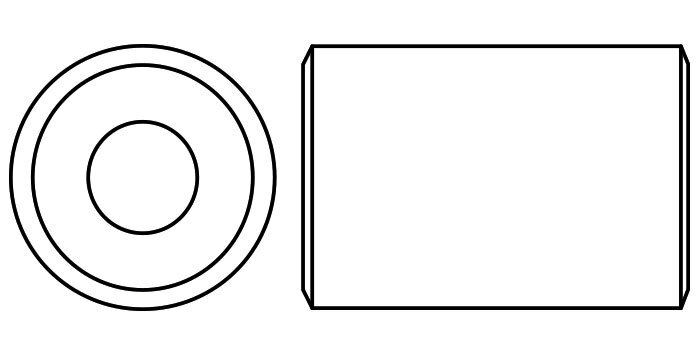 Trojan special fasteners can manufacture connector nuts which can mix two different sizes or even types of threads. Sight holes can be machined onto flats so that you can see the length of engagement. 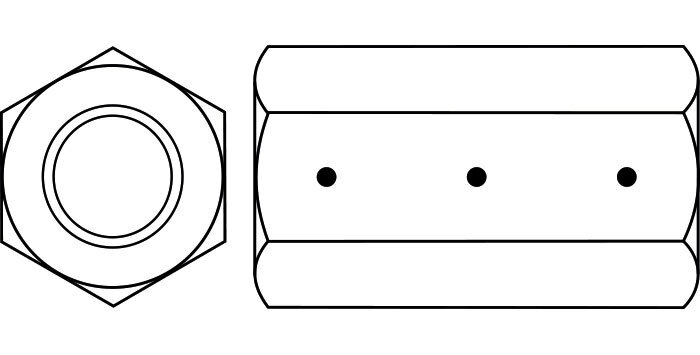 It is common for one side of double ended coupling nuts to be left handed and the other right handed. 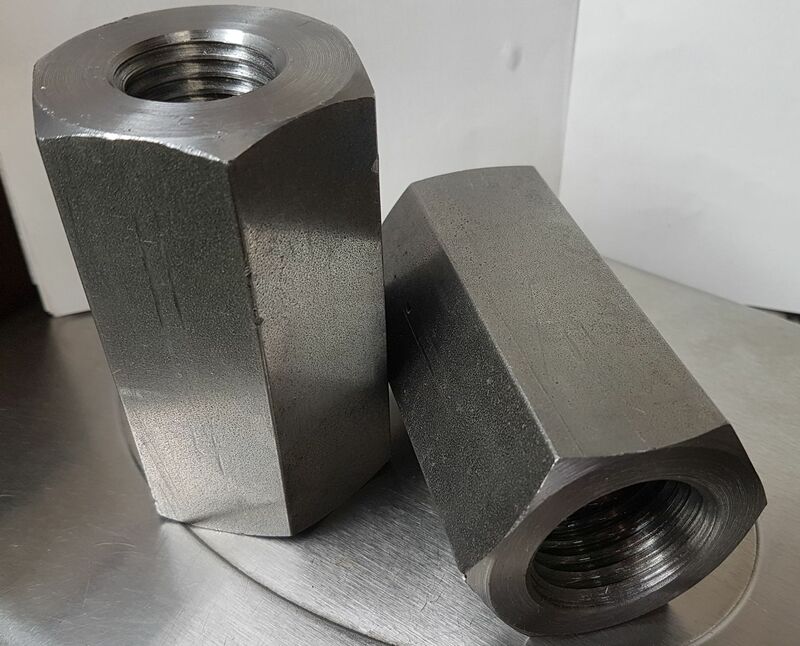 Coupling nuts where two different thread sizes and profiles are used are typically called reducing coupling nuts or simply hex reducers. 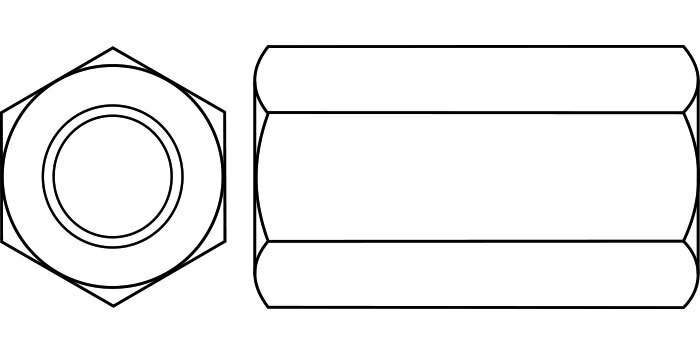 Coupling nuts can be used to tighten a rod assembly inward or to press a rod assembly outward. Typically they are 3 times the length of the inner diameter, but we can machine other sizes, just ask! We can manufacture these in a limited number of sizes with a square profile if needed - but these are extremely rare. We can make almost any combination of internal and external diameter or profile you're looking for within available material specifications and finishes. At times customers ask these to be partially threaded on each end, sometimes with mixed thread sizes, pitches and a combination of left hand on one side and right hand on the other. Typically these are known as reducing coupling nuts. Hex Connector or Coupling Nut with 3 points tapped for grub screws. 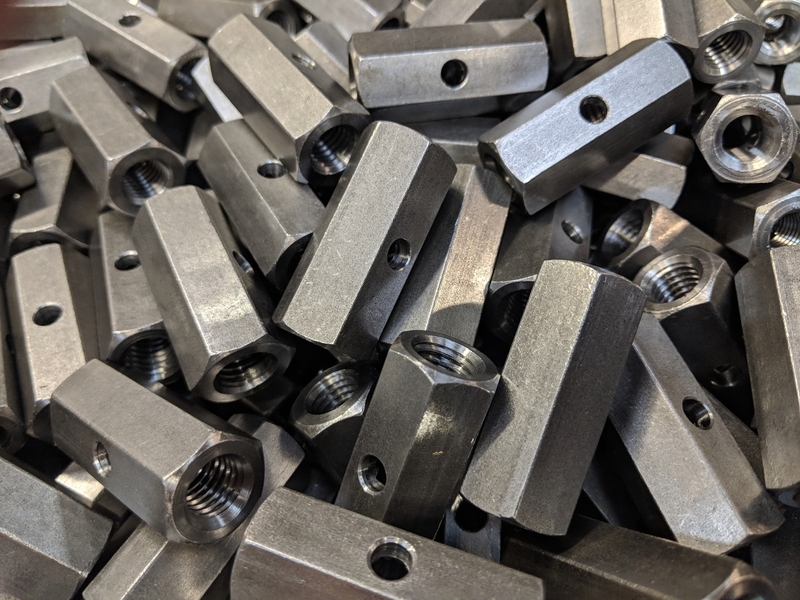 We can machine connector nuts to your dimensions, drawing or sample in a multitude of sizes, materials and finishes.